Standard annuity rates were lower by a similar amount to the fall in 15-year gilt yields this month. For an 8 basis point fall for the month we would expect annuity rates to fall by about 0.8% and this was about right. Smoker annuities decreased by 1.55% which exceeded what we were expecting and impaired annuity rates were also aggressively reduced during the month. Despite the large range of negative coverage of the Eurozone, Greece, Spain, Cyprus as well as the US Fiscal Cliff threat and poor economic growth prospects around the world gilt yields have not reduced by much. Gilt yields decreased by 8 basis points to 2.23% in November and as a rough guide this would translate to a 0.8% decrease in annuity rates. Standard annuities decreased by an average of 0.86% whereas for our benchmark pension annuity example decreased by 0.2% although over three months it is lower by 2.6% whereas gilt yields have increased by 16 basis points. This would suggest that annuity rates for our example can increase by 4.2% when comparing changes over a three month period. This is a common theme for all annuities and indicates providers are locked in a negative pricing cycle in anticipation of the EU Gender Directive and Unisex annuity rates. Fig 1 above shows that 8% of annuities increased for a combination of standard and smoker rates. These increases were from 0.4% to 1.2% for standard life rates for females aged 75. Of the 92% of decreases standard annuities were not as significant with many decreasing by under 0.5%. The largest decreases were for those aged around 75 as Canada Life decreased their annuity rates by between 1.3% to 2.6% and they are the market leaders at this age. Rates for females also decreased by a similar amount across the board even though the expectation is for rates to increase with the gender neutral pricing. The largest fall in monetary terms was for 50% joint life, level basis aged 60 with a fund of £100,000 experienced a decrease of £166 pa.
Smoker annuities experienced a greater decrease with those aged 55 lower from 1.0% to 4.8% and a range of different losses across the board for all other age groups. The largest monetary fall was for 50% join, 3% escalation aged 65 with a fund of £100,000 experienced a decrease of £177 pa. Also males on a single life, level basis aged 55 for the same fund value experienced a decrease of £169 pa and based on the Office of National Statistics (ONS) he would be expected to live 32.8 years so the loss in income would be a significant £5,543 over his lifetime. For a female the largest loss was also aged 55 on a single life, level basis and same fund value on a single life, level basis aged 55 for the same fund value experienced a decrease of £155 pa and based on the ONS she would be expected to live 36.2 years so the loss in income would be similar at £5,611 over her lifetime. 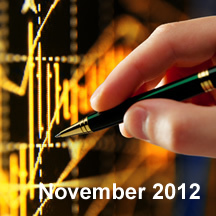 Equity markets were higher starting at 5,783 and ending at 5,867 up only 84 points. Pensioners still invested should have experienced slight increase in their pension fund when purchasing annuities during November. 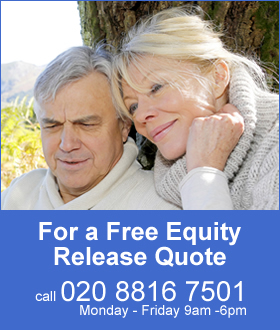 Smoker annuities suffered the greatest reductions based on a fund size of £100,000 with an average fall of 1.55% across the board with 100% joint life annuity rates decreasing by up to 4.8% for males and females aged 55. Standard annuity rates also decreases across the board for males, females and joint of all ages and in particular for those aged 75 with decreases of between 1.3% to 2.6%. Gilt yields decreased this month from 2.31% to 2.23% and were no higher than 2.33%. Providers have decreased annuity rates further than expected and this suggests that standard annuity rates could increase by 4.18% and smoker annuities by 6.15% in the medium term. The EU Gender Directive is forcing annuity rates lower and this position will benefit provider profit margins while pensioners can expect poorer value for money than expected at this time. For the latest updates see Annuity Rates Review. Providers have reduced impaired annuity rates during November and in particular the market leaders Liverpool Victoria, Partnershp Assurance and Just Retirement have reduced their rates.